By voting on the books listed, you can help to determine whether a book is related to the theme of Organic-Passions, or whether it is a non-related, but popular, book among the members of the site. If you believe a book in the list below is 'on theme' with Organic-Passions, vote that it is relevant. (If you don't know, just skip it.) 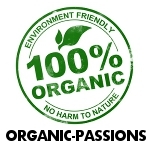 Over time, we hope to have a library of books that should be of interest to Organic-Passions members. A handy tool for pest identification that can be taken right into the garden. Large color pictures and descriptions of each pest and their life cycle help make identification easy. If you live in the north country you don't have to settle for anemic tomatoes on your grocer's shelves. Organic Gardening in Cold Climates can teach you how to reap a vegetable bounty despite a short growing season. Organic Gardening Beginner's Manual: The ultimate "Take-You-By-The-Hand" beginner's gardening manual for creating and managing your own organic garden. This gardening guide was created to give you simple, concise steps to easily create the right organic food garden for your family. The answers to many of today's heath challenges are futon in Jordan Rubin's latest work, Live Beyond Organic.